If you're thinking about it, Lisa's talking about it. Tune into The Lisa Wexler Show to get the scoop on the day's events. Host Lisa Wexler is also a judge, a best-selling author and a suburban wife and mother. Guests have included Maya Angelou, Jane Fonda, Gloria Steinem, Larry King, Mike Huckabee and many others. 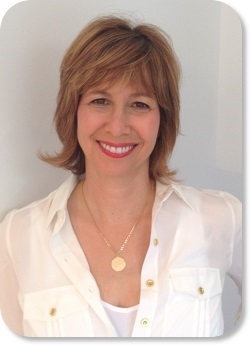 Lisa Wexler is the Gracie-Award winning creator of The Lisa Wexler Show, a talk radio show. The CT Press Club awarded The Lisa Wexler Show First Prize as Best Radio Show this year. In addition to winning the title “Gold Coast Best Radio Personality” for 2009 and 2010 by Moffly Media, Lisa was also named one of “Connecticut’s 2010 Movers and Shakers” by the Connecticut Jewish Ledger. Lisa is an attorney admitted to the Bars in Connecticut and New York. She graduated from The Johns Hopkins University and The New York University School of Law. At NYU, Lisa won the American Jurisprudence Award for excellence in constitutional law. After practicing law for over 20 years, Lisa decided to pursue her passion for talk radio. She regularly addresses audiences on “Second Thoughts, Second Chances”, on the challenges and joys of changing one’s career. Lisa is also the co-author of the award- winning “Secrets of a Jewish Mother,” (Penguin/Dutton) with her sister, former “Real Housewife of NYC” Jill Zarin, and her mother, advice columnist Gloria Kamen. Currently, Lisa serves on the Board of the Jeffrey Modell Foundation, which is devoted to researching the prevention and cure of primary immunodeficiency diseases. Lisa also serves on the Advisory Board of Jane Doe No More, whose primary mission is to erase the stigma of sexual assault. Lisa was elected to the Westport Zoning Board of Appeals, serving a four year term. Prior to that, she was appointed to the Westport Planning and Zoning Commission. Lisa has been married to the same wonderful guy, Bill Wexler, for almost 30 years, which is rather astounding. They have two great kids, Jon and Joanna. The family is very grateful that Sugar, their adorable bichon, has agreed to live with them.